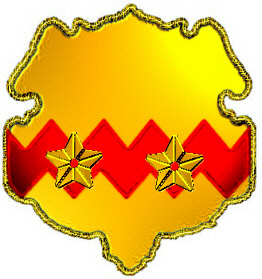 Coat of Arms: A gold shield with two gold mullets pierced on a red fess dancetty. Spelling variations include: Damann, Dammann, Daman, Dammann, Damm and others. First found in Oldenburg, where the name emerged in mediaeval times as one of the notable families of the region. 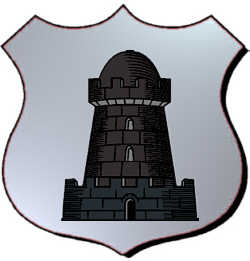 Coat of Arms: Silver with a black tower. Spelling variations include: Damon, Daymon, Damyon, Damond, Daumont, Damont, D'Homan, Damian, Damian, Damino, Damini, Damman and many more. First found in Piedmont, Piemonte, Pedemons, a territorial division of northern Italy at the foot of the Alps consisting of the provinces of Alessandria, Cuneo, Novara and Turin. Some of the first settlers of this name or some of its variants were: Thomas Domini, who settled in America in 1768; Francis Daymon, who came to Pennsylvania in 1777; Daniel Damont, who settled in Philadelphia in 1818; Georg Anton Domino, who arrived in Texas in 1845. Re Damon Origins: Da~mon The ~ represents a tilde over the <e> Damon and Daemon are modern English forms of Damian, a saint's name used in medieval English and in several other European languages. We did not find Damon or Daemon as a period spelling of the name in any language and we did not find any form of the name in use in period Ireland. There is an Irish name that looks similar, though it is pronounced quite differently: The Gaelic name Daman or Damhan is pronounced DAH-vahn. It is possible that this name has been equated with Damian in modern times. As you know, we've previously researched the name <Damon> and found no evidence that it was used in the Middle Ages. The citations you found in the Lexicon of Greek Personal Names prove that it was used in classical Greece -- that source covers sources from 600 or earlier -- but it isn't safe to assume that it was used in later-period Greece or elsewhere in Europe without evidence. Damian was used quite widely in medieval and renaissance Europe, but it does not turn up any example of Damon. If you're interested in learning more about Damian, let us know. _Dizionario Onomastico della Sicilia_ (Palermo, 1994), s.n. Damone] If you'd like us to investigate this possibility, let us know. DAMON. 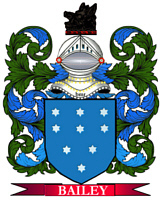 A mailing list for the discussion and sharing of information regarding the Damon surname and variations in any place and at any time. To subscribe send "subscribe" to damon-l-request@rootsweb.com (mail mode) or damon-d-request@rootsweb.com (digest mode).